LEAN Protein Powder is formulated with a unique combination of yellow pea and brown rice protein, coupled with the amazing Garcinia Cambogia, a superstar ingredient in the Weight Management arena. This unsweetened premium meal replacement shake (now also available in a recently introduced, lightly sweetened “Vanilla” flavor) is designed to provide you with optimal amounts of protein, amino acids, carbohydrates and fiber to contribute to your lean lifestyle and healthy body. GIATrim’s LEAN Protein Powder is formulated with a unique combination of yellow pea and brown rice protein. This premium meal replacement shake is designed to provide you with the optimal amount of protein, amino acids, carbohydrates and fiber to contribute to your lean lifestyle and healthy body. LEAN also contains Konjac Root, a low calorie, high fiber nutrient, known for creating a sense of fullness and aiding in digestive regularity. The addition of Garcinia Cambogia (HCA) offers tremendous weight loss support for anyone interested in “living lean.” With LEAN, you can enjoy the benefit of HCA in your meal or shake, without having to purchase it separately! Why should you include a protein shake in your diet? One of the key topics explored over the past few decades has been the adequate intake of the proper sources and amounts of protein. Recently, the focus has shifted to not losing weight, but to decreasing the percentage of body fat, while maintaining lean body and muscle mass as well. Adding a Meal Replacement Protein Shake to your daily regimen can help you to maintain a healthy weight and body fat. What makes LEAN so unique? 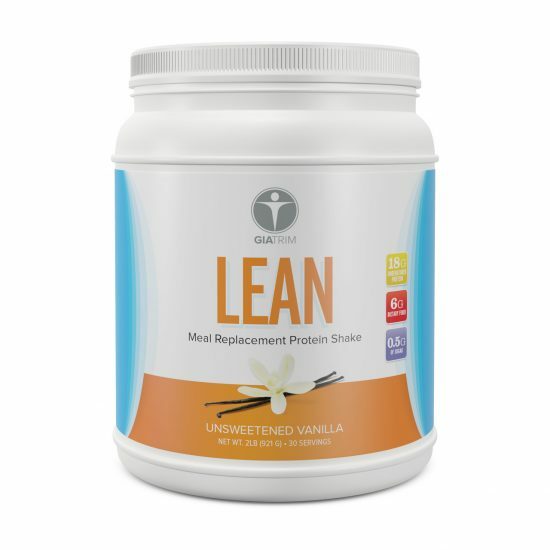 LEAN is formulated with a plant-based protein blend, optimal to serve as a meal replacement. It is packed with essential amino acids and is an excellent source of fiber. 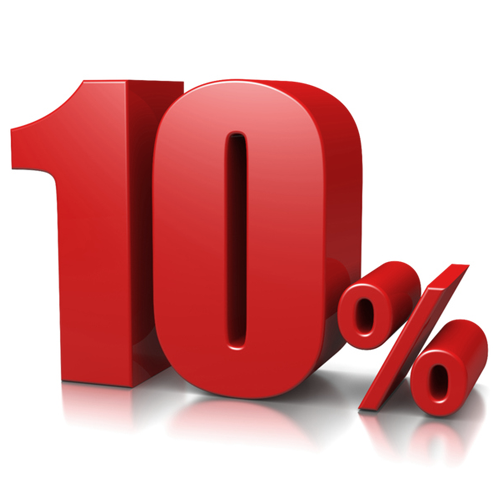 At just 100 calories per shake, LEAN is highly effective for weight loss and management. Plus, the added extracts are designed to help you to feel full for longer and support your weight loss goals! Most importantly, when you blend LEAN with i-H2O, GIA’s proprietary Single-File Alignment (SFA) and ERT technologies are hard at work in your body, ensuring that nutrients are delivered quickly, directly, and in a highly absorbable fashion. What should you add to your LEAN Protein Powder? This “Unsweetened Vanilla” variety of GIATrim LEAN protein powder was created with a mild flavor profile so you can get creative! You choose which flavors you want to add (fruit, berries, etc). You choose whether you want to sweeten it, and with what sweetener. You choose whether you want to add your protein to a blended smoothie, oatmeal, or hot breakfast cereal. You are in control of being LEAN! 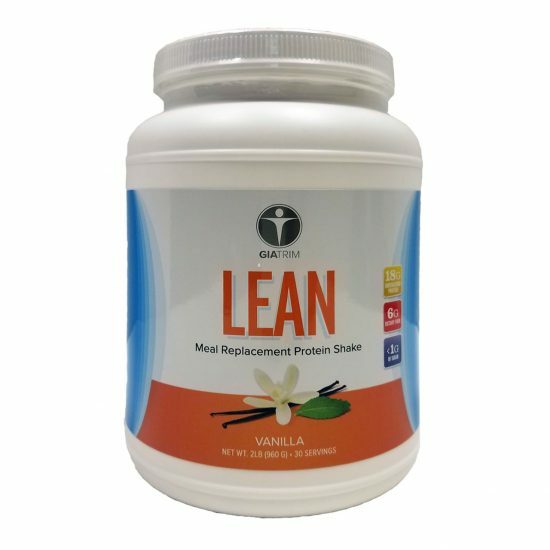 By the way, if you prefer a “shake-it-and-go” lightly sweetened (with natural Stevia plant-extract) “Vanilla” variety of GIATrim LEAN as an alternative to the original “Unsweetened Vanilla” formula, it is available for purchase on this website also. By single-file aligning (SFA) and energetically entraining its world class nutritional formulations with the proprietary GIAplex™ technology, GIA Wellness has revolutionized the way nutritional products are recognized, absorbed, and utilized by your body. GIAplex has been designed to optimize the natural potency, vitality, and absorbability of every single nutrient, so that you get to enjoy the benefits of truly unparalleled product performance. Just Love, Love, Love GIATrim! In 4 weeks, I lost 10 pounds and 14 inches! As of 6 weeks, I’ve lost 12 lbs and 18 inches. In 2 weeks, I lost an additional four inches off my waist! I love GIA Trimming! I’ve lost 12 pounds and one clothing size! So easy!!! It’s working for me! Never before have I had such great results in a weight loss program without feeling hungry and deprived! I am Loving GIATrim. I lost 8 lbs in my first week and I’m feeling Great! As someone with a family history of blood sugar issues, it’s important for me to have a breakfast with good protein and low carbs to keep my blood sugar balanced all day. I love GIATrim’s Lean shake in the morning with frozen blueberries, rice milk and ground flaxseeds! I lost 5 pounds my first month and felt great. Now I’m easily maintaining my healthy weight with a daily regimen of iThrive, Cleanse and one Shake a day. Simple. Hands down the best protein and meal replacement in the market! Changed body composition and BMI! No gas or bloating and mixes great with anysmoothie or workout drink. Absolute must have for anyone wanting to loss weight or serious athelete. Lean has actually enabled me to take my same workouts and get greater results. Not only have I increased my agility and my strength, and my endurance. But I’ve actually increased my muscle mass.